If there is one thing that I get tired of hearing is that you are not really gay! Really, really! You know this? You know what goes on inside me? You know if I am gay or straight? Here is just some of the things I have heard over the years. "You are not gay cause at one time you married a guy"
"You are not gay because you had a son"
"You are not gay because you dated men at one time"
"You are not gay, you will go back to being straight once you accept that." "You will be straight once you accept Jesus Christ"
"You will be straight once you find the right man"
"You just haven't accept all of God's scripture, when you do you will be straight." "You just need to be cured, you really are straight, this is just an illness." "You will grow out of this phase"
"You will change your mind once you have been hurt enough"
"No guy did anything for you because they weren't Godly relationships, when you do get one that is, you will be straight"
And the list can go on. It is tiresome and the sad part is, this is just from my family, not outsiders. People outside my family are more receptive to me being gay and don't try to change me. They may say, "I don't approve of it, but I accept you." I know that these people would even be there for me if I were to be in a relationship. It breaks my heart that one day, when I am in said relationship, that I will not have family there for the wedding, that I won't bring my significant other to Thanksgiving and Christmas, and to other family gatherings. That to my family, fine, be gay, just be single and alone cause it is wrong to act on it. It hurts to know that I am not going to have their blessing to be fully me. My comfort though, I know that I can go before God as full me and know that I am accepted. He says I am His child. Made by Him. I know when I stand in His presence He don't see my sins or that I am bipolar or that I am an alcoholic or that I am gay, He sees that I am covered by Christ's blood and I am His child. 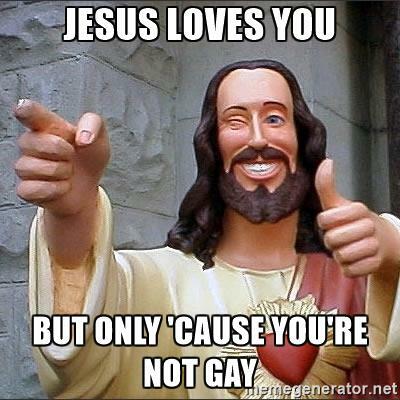 I truly believe if Christ walked the Earth today, He would say "Come on yall, accept Homosexuality and get past it. There is more important things. I was saying no to things that caused harm not the loving committed monogamous relationships that is of today." I have on my desk a sticky note that reads "If God likes me, I like me, and you don't like me, the problem is with you!" I know I have to remember this. I am not the problem if you don't accept. My only concern is that relationship between God and myself. 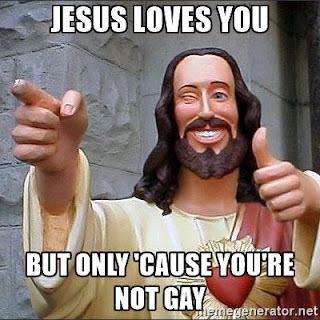 So if you are like me, heard all the "You are not gay" crap, have people that don't accept all of you, hang in there. The issue is with them, not you. Love them and pray for them. Accept them where they are and know that you are not alone!